The Philadelphia 76ers didn't play on Sunday, but they clinched their first playoff berth in six seasons when the Indiana Pacers beat the Miami Heat. The Sixers last made the playoffs in the 2011-12 season, which was shortened to 66 games by a lockout. Prior to this season, that marked the last time Philadelphia posted a winning record, as the 76ers went 35-31. Philadelphia is 42-30 with 10 games remaining in the regular season and sits fourth in the Eastern Conference. The Pacers improved to 43-31 with the 113-107 win over the Heat and also secured a playoff berth. 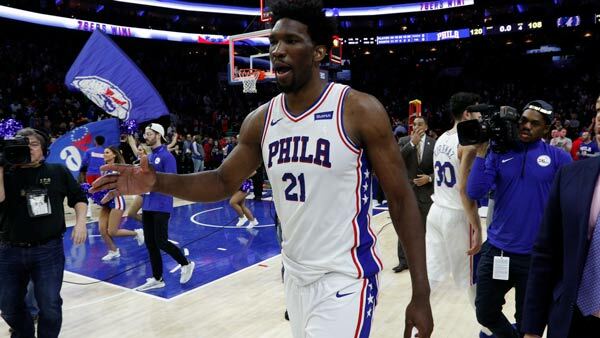 The playoff berth is the latest sign of Philadelphia's resurgence from a lengthy rebuild under then-general manager and president of basketball operations Sam Hinkie dubbed "The Process." With the goal of building a championship-caliber team, as opposed to one that could squeak into the postseason yearly without a legitimate chance of winning it all, Hinkie stripped down the organization in order to acquire as many top draft picks as possible. Hinkie resigned in April 2016 and was replaced by Bryan Colangelo, who made moves to expedite the team's return to competitive play after going a combined 47-199 in 2013-14 through 2015-16. "The Process" yielded both Joel Embiid (the third overall pick in 2014) and Ben Simmons (first overall in 2016), but Embiid missed two full seasons with injuries, and Simmons, a rookie of the year candidate, missed what would have been his first season last year. The Sixers were 28-54 last season, showing flashes of potential while Embiid was on the court, though injuries limited him to 31 games. This year, with Embiid and Simmons healthy and solid contributions from a core group that includes JJ Redick, Dario Saric and Robert Covington, the results of "The Process" led to the playoffs.